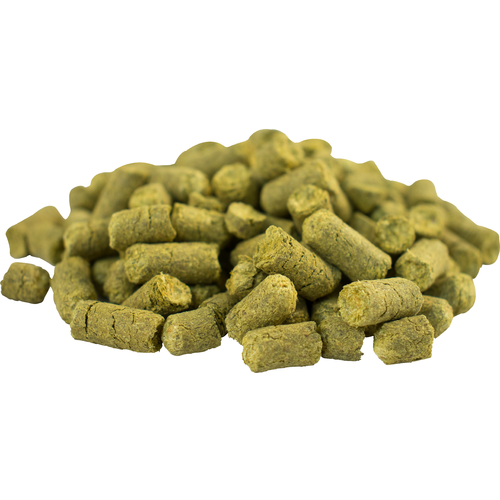 Tettnanger hops are known for their versatility, as they offer a traditional noble aroma that blends seamlessly with other hops in your brew. Expect that classic German nose of spice, earth, and a hint of floral commonly added to German Ales, Lagers, and Wheat Beers. Use tettnang as standard bittering hop for german dunkel, alt, bock. use this at your 20 min hop ... it's that classic hop that screams old school beer. These work fine. Tettnanger is one of my favorites for German/Bavarian beers. Tett/Saaz or Tett/Spalt - good combos. Nice finishing hop for my Lagers. I use Tettnanger in several of my Belgian-style brews. A normal AA% is around 4 to 4.5. I was very disappointed to receive these which are 2.1%! MoreBeer should update the Alpha Acid information relative to specific batches in stock. They are described as 4-5% on the website. These are not as advertised. The description states they are 4-5% AA. I used this information when formulating a recipe and ordered the appropriate amount. When they arrived they were not even close, only 2% AA. This left me short for the IBU I was shooting for plus I had to order more which of course cost double shipping. While they advertised the Tettnanger pellets at 4-5% alpha acid, I recently ordered 1 oz. that came in at 2%. Had I know this, I would have ordered 2 oz. as I needed about 4.5% to hit my desired bitterness level in a Bohemian Pilsner. So I wound up throwing in some of my homegrown Cascade, which I hope doesn't affect the flavor profile of the beer too much....I gave it one star because at least they sent me hops. Used in a Kolsch. Hops complemented the serrano peppers I added. Nicely packed in mylar bag. Good flavor with out being too much. I tried this in my Pilsner in place of Saaz. Good distinctive flavor without being overpowering. I'll use it again. I needed a substitute for Hallertau and blindly chose Tettnanger. I had great results! It may not be completely 'traditional', but my palate didn't seem to mind! Used in a red and happy with the results!